It was such a pleasure to be a part of this couple’s big day. Kelly and Justin met in Nevada and kept a their relationship over long distance for 15 months; commuting between California and Canada to spend time together. At last, on New Years Eve, they sealed their vows at the picturesque St. Regis Resort on Kauai’s North Shore; amongst family and friends. 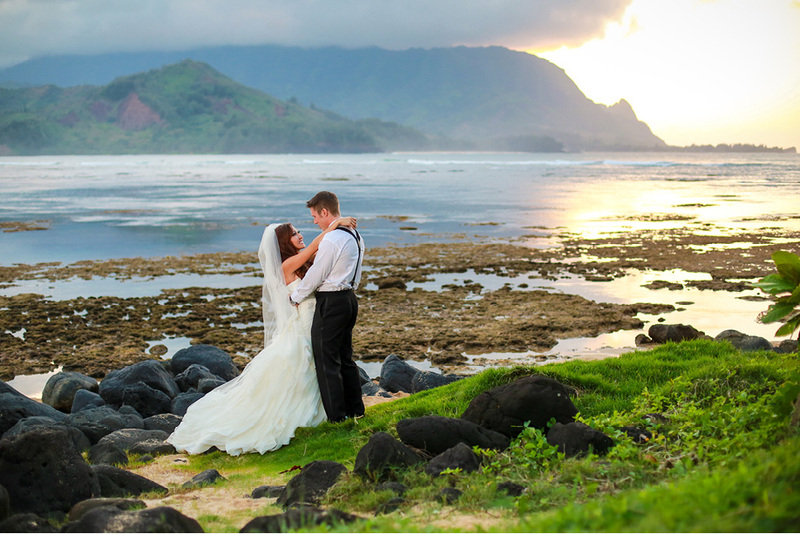 The beachfront ceremony was simply beautiful, and the reception that followed; located on the St. Regis’ famous Makana Terrace looking over the sparkling Hanalei Bay, couldn’t have been more perfect. The energy picked up as the party carried on late into the night, and Kelly and Justin, surrounded by those they love most, shared their last kiss of 2013, and the first of many more to come. I am so blessed to have met this couple and their families. Congrats Kelly and Justin!